Can I purchase 1password on the Android app? Is there any way to pay for 1Password through the Android App. I don't want to do it via the web, but I can't see any options to do so in the Android app. @bart3r: Indeed! 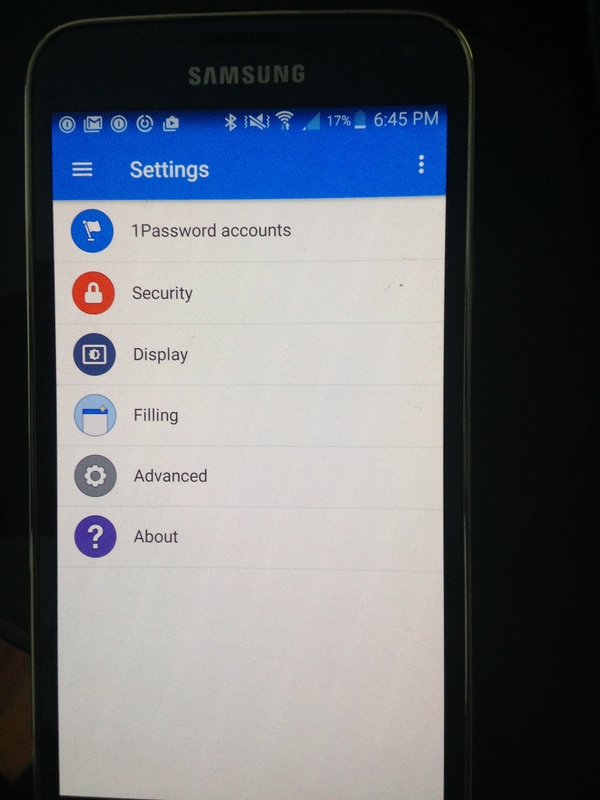 The Pro Features in 1Password for Android is an in-app purchase under Settings > Pro Features. You can purchase it right there in the app, and it will be processed through the Google Play store and tied to your Google Account. Your information is simply not true. See my screenshot attached. There is no 'Pro Features' option. It's funny how a company can make it so difficult for their users to give them money. @bart3r: Oh, it's definitely true: the option is there when the Pro upgrade has not been unlocked. Are you perhaps using a 1Password Account for the subscription service? If so, that's included, which would explain why we're not trying to sell you something you already have.